Description: Shell lightweight, spire relatively short, whorls strongly convex. Aperture semicircular, with external colouration showing through; outer lip simple. Umbilicus deep, with inner lip of aperture partly reflected over it. Shell surface with irregular axial growth lines, sometimes developed as close axial ribs, and sometimes with weak, widely spaced spiral threads. Exterior green-grey to fawn, unbanded or with up to 3 spiral brown bands. Distribution: Endemic to Australia: Brisbane, Qld, southwards and around southern Australia, to Adelaide, SA, and northern Tas. Habitat: Mangroves and mudflats, usually associated with permanent pools of water; often found in estuarine habitats where fresh water mixes with salt water (Golding, Ponder & Byrne, 2007). 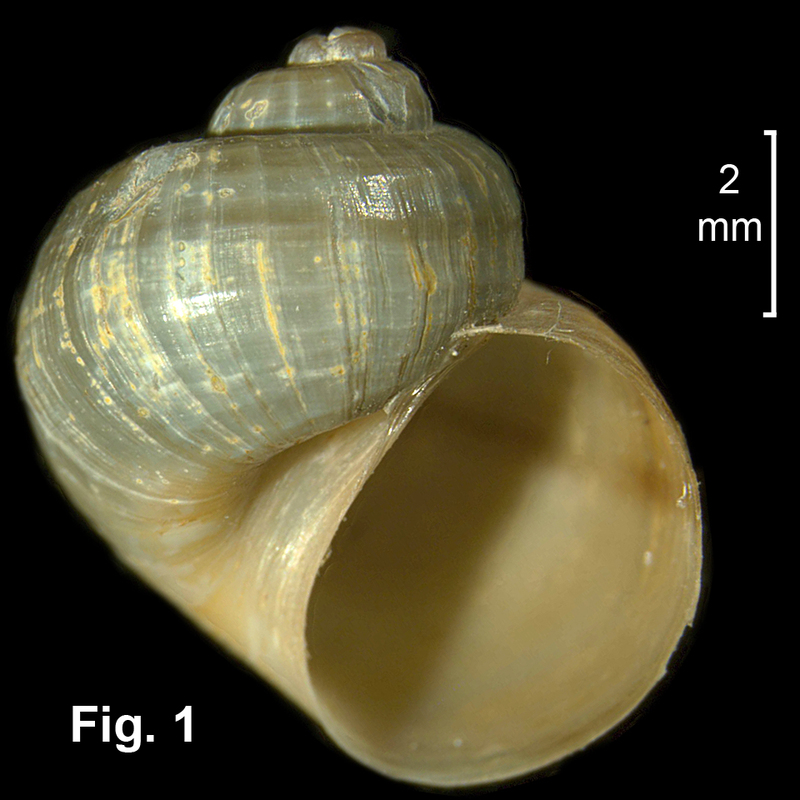 Comparison: Phallomedusa solida has a similar shell shape to this species, but is much larger and has a pattern of axial lines on the shell. Phallomedusa rhampidia is smaller, lacks spiral bands, and has a taller spire. Salinator fragilis, which does not occur in NSW, differs in the colour of the animal and in other anatomical features.